California is the land of giants. It’s the home of coast redwoods, the tallest trees on Earth and their relatives, the sequoias. 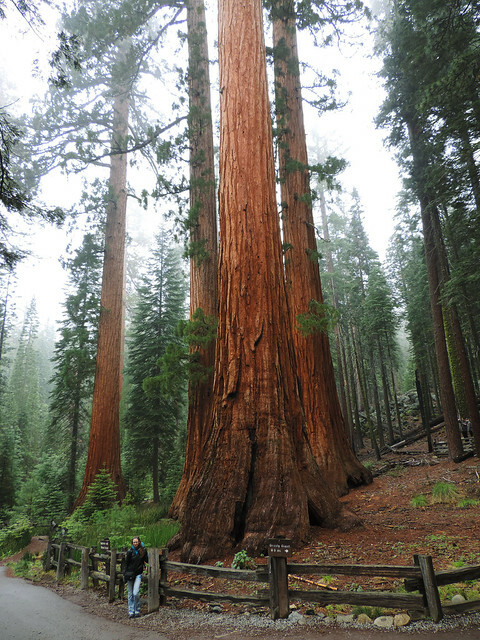 Sequoias are not the tallest nor the widest trees, but the overall volume of their trunk makes them the biggest trees on Earth. But sequoias won’t die easily, they are real survivors! They are adapted to periodic fire for example. Their thick barks protect them against significant damage and they even take advantage of fire – all of their competitors will die, right? Even if they are hurt, they can heal their fire scars. The most incredible thing about them is that they actually need fire for reproduction because their cones will only open up in the hot air. 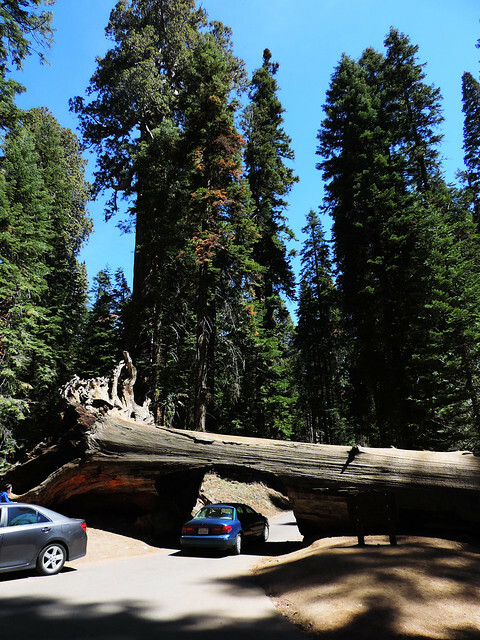 Diseases that kill other trees can’t kill sequoias. Their bark is resistant to rot. They can live for over 3000 years. They almost seem to be immortal to us. Sometimes they are smashed by lightning or cast down by storms, but usually there’s only one real danger that threatens them. We, humans. But we hope that our grandchildren will still look up to these majestic giants in awe. They just make us realize how small we are and how amazing nature is! 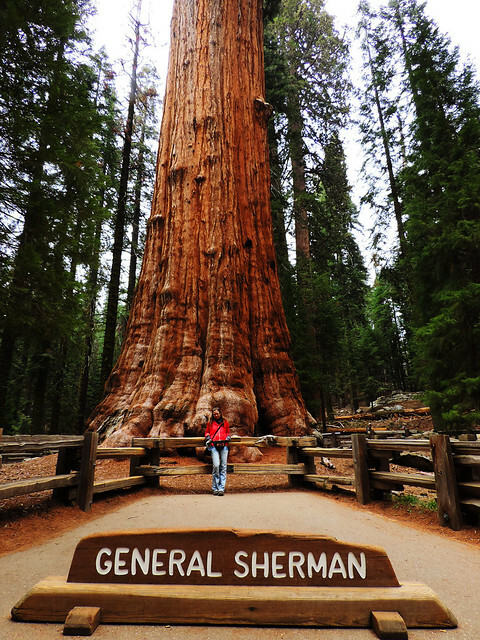 The biggest of the world’s biggest trees is called General Sherman. With a volume of 52500 cubic feet (1487 cubic meters) it’s the king of the Giant Forest. How much is that volume? Imagine its trunk filled with water. Then it would be enough for a bath for every day for approximately 27 years. 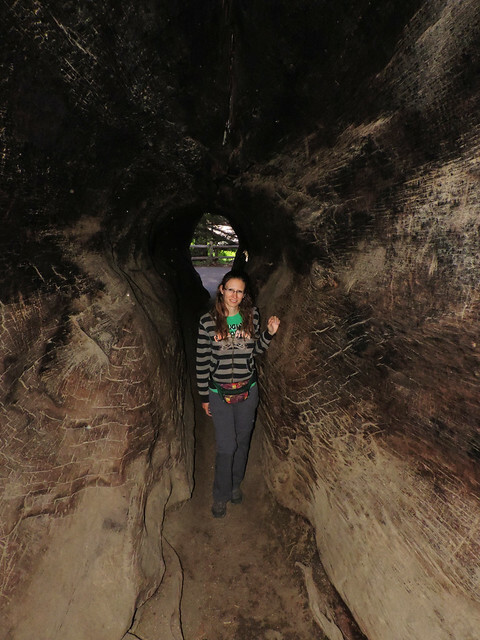 Surprisingly General Sherman is not the oldest sequoia. 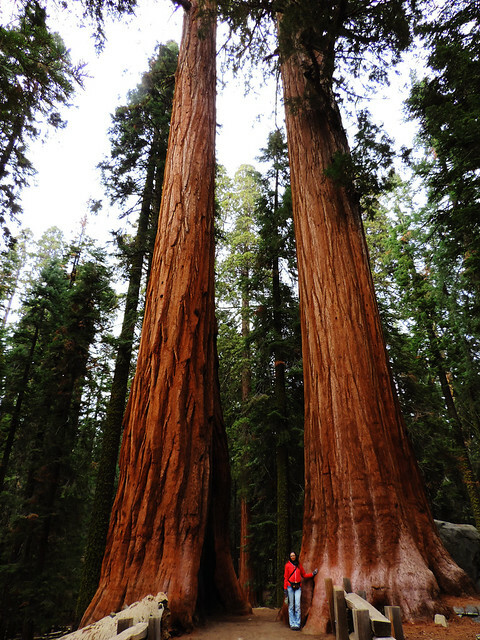 There are sequoias which are a thousand years older, but General Sherman took advantage of its good location to outgrow them. 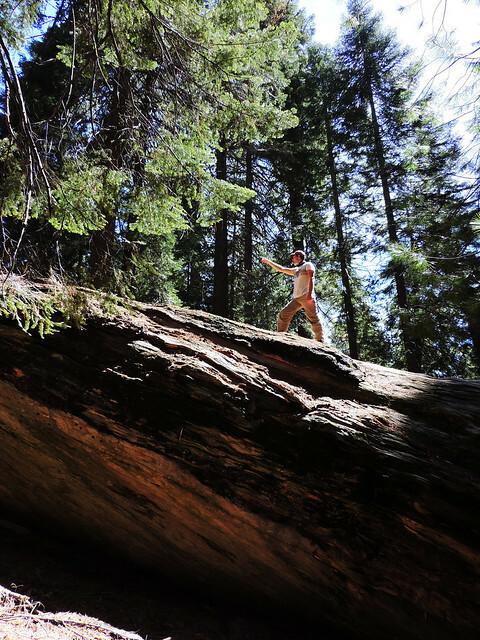 We couldn’t mention the sequoias without mentioning Moro Rock. 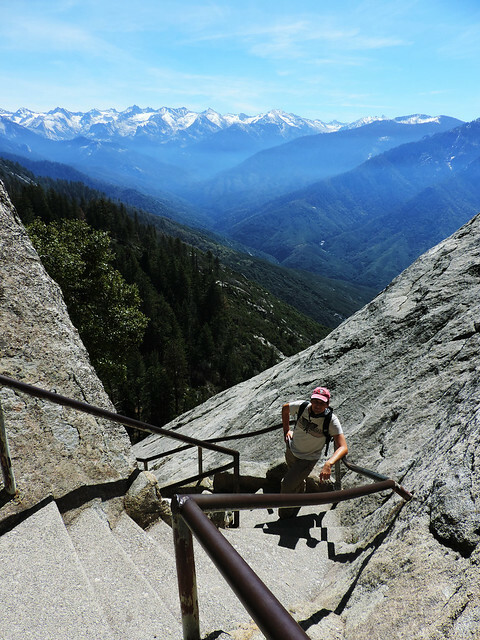 It’s our favorite viewpoint in Sequoia National Park with a 360 degrees panorama of the surrounding peaks. There’s steep stairs leading there from the parking lot and it’s very close to the Giant Forest. Yosemite is famous for its huge and beautiful waterfalls, but the park is so much bigger than just fairy tale Yosemite Valley with its waterfalls. 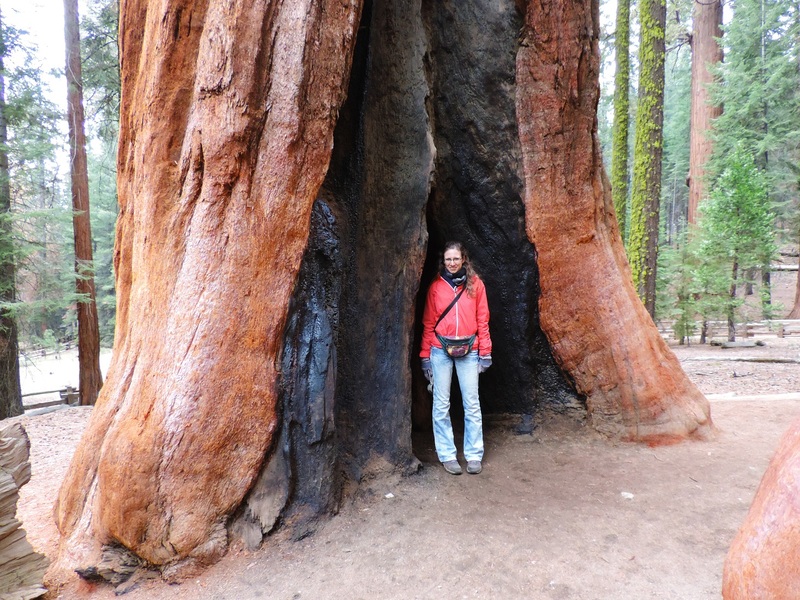 There’s Mariposa Grove for example, another famous sequoia grove. It was a quick stop for us while driving from Wawona to Yosemite Valley. 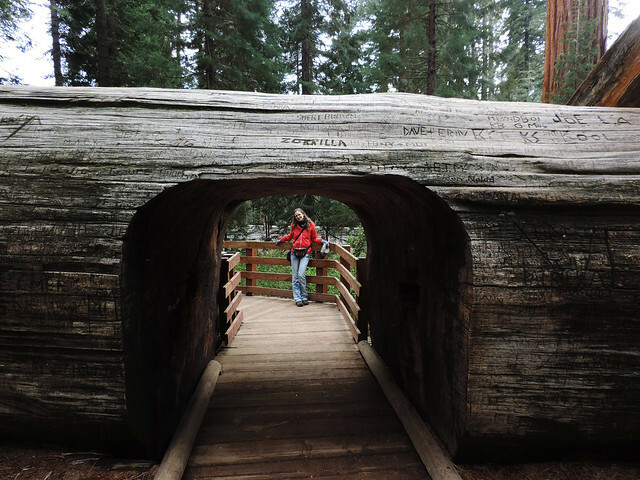 The short loop trail is maybe about an hour long walk, but it’s like another world inside Yosemite. A world where you immediately become a lilliputian. The drive from Wawona is very scenic by the way and it leads to Yosemite Valley through Tunnels View, the most beautiful roadside viewpoint in the Valley. The most beautiful antiques are not found in stores.